MINI is undoubtedly one of the best-selling brands in the world, with models ranging from the iconic Austin MINI Cooper to the Countryman subcompact SUV, the firm has a reputation that few other car makers can match. Featuring the same design traits as the very first model, MINI cars are some of the most advanced motors on the roads and the nation is always falling in love with them. 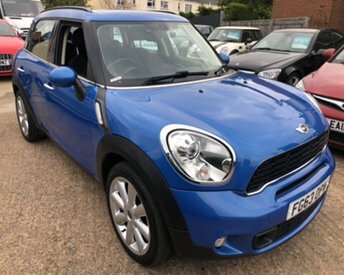 Be sure to consider Foxhayes Car Sales if you are interested in buying a quality used MINI car in Exeter! With more than 30 years? experience behind us, we are always striving to make sure our customers are completely satisfied with their used MINI car, which is why our vehicles undergo an 82-point check prior to leaving our forecourt. Why not take a better look at our full range of used MINI cars for sale? Our showroom is based in Exeter, where you can decide if MINI is a brand worth investing in.